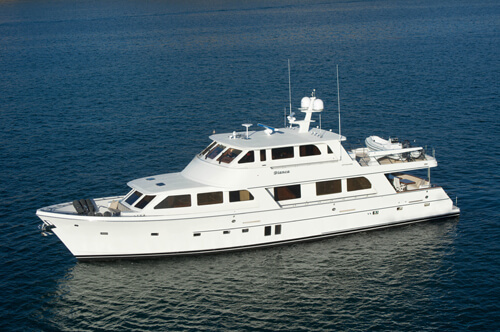 This magnificent family cruiser is extremely well looked after and hosts numerous updates and refreshment of systems. Her THREE STATEROOM, plus private crew space, offer exceptional accommodations for long term cruising by a family with captain or those couples simply looking to break away on their own. No stress! 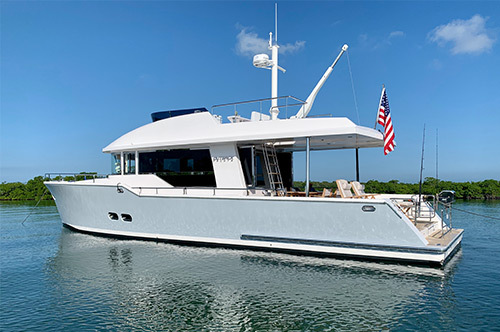 Easy systems management and handling featuring stand up engine room, separate pump room and work space, hydraulic stabilizer’s, hydraulic bow and stern thrusters and, plush, well-appointed pilothouse. Other attributes included her custom hard top with EZ2CY enclosure, full length boat deck, easy water access, smart styling and overall tidiness. A very smart and rare option in today’s market! Turn the keys and go on this one! Large Lshaped settee to port, two custom swivel barrel chairs to starboard with matching ottoman and storage. Spinneybeck leather counter stools at the galley and granite desk to starboard with office computer, box file drawer, and storage. Custom higloss oval table with inlay in the salon. Custom end table with storage. Custom fluted columns with crown molding surrounding the salon and galley. Hunter Douglas silhouettes cover the spacious windows. To starboard is the popup flat screen TV. There is high end fabric carpeting throughout. 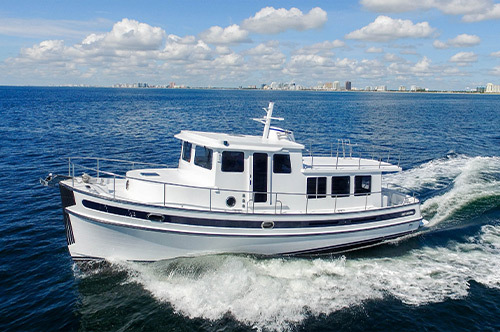 Planing bottom with deep vee bow entry, generous flair at bow sections, double chine, prop pockets, integral swim platform, keel extension for propeller protection, and FRP exhaust barriers. Hand laminated FRP utilizing bidirectional and unidirectional knytex CDM2415, DBM2145, CDM1810, and CDM1708 (or equivalent), vacuum bagged Core Cell sandwich construction above the water line, solid laminate below the water line with high quality iso and vinyl ester resins. Fulllength hull girders of high-density foam cores with bi & unidirectional knytex. All bonding of hull to deck, roofs to cabins done with FRP, exterior finished with gel coat. Hand laminated FRP utilizing bidirectional and unidirectional knytex with Core Cell sandwich, high quality ISO resin, vacuum bagging, and deck mechanically and FRP bonded to hull. Suitable high compression cores as required for hardware mounting. 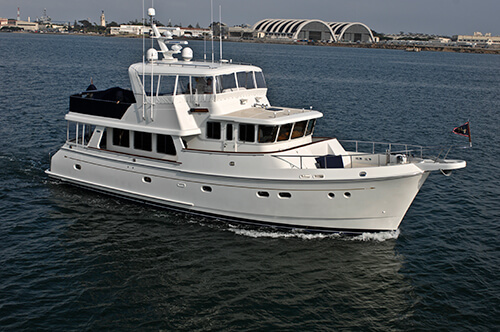 Exterior finished with high gloss "cook" gel coat, #953WA540 for superstructure and #953 NA#526 for nonskid or teak deck, gel coated joint at roof to cabin sides. Main deck soles and engine room bulkheads padded and cored with appropriate sandwich materials. Hand laminated FRP construction, utilizing core cell sandwich vacuum bagging where appropriate of exterior doors, recessed window and door frames (in the mold) and exterior window trim, radar arch. Vessel scantlings, construction, systems and installations shall meet or exceed all applicable ABS standards. All systems to have operation manuals and system schematics. Caterpillar twin 1000 hp C18 diesels with vibration damping mounts, 24V/75 am alternators. pipes to "Aqua Quiet" mufflers. Stainless Delta 85 lb. bow anchor with 400 ft. 3/8" HT chain and chain stopper. 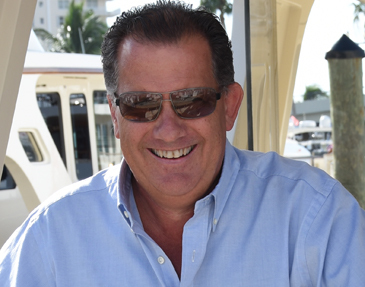 Hynautic 652" trim tabs with controls at pilothouse and flybridge. Steelhead 1800 lb. hydraulic davit with boom, cable, and rotation functions. Fire Boy automatic fire extinguishing system with engine shutdown system. Dual Buell low profile air horns with 120V compressor, compressor outlets at lazarette and engine room. Two hose winders with remote controls. Sight gauges (marine grade with protective guard) at each fuel tank. "DeltaT" engine air intake system (minimizes water injection) color matched to exterior. Engine room 24V/DC lights X 4 pes and 120V/AC fluorescent lamps X 4 pes. Port and starboard bulwark doors with stainless steel threestep boarding ladder with FRP treads. 316 stainless steel hawse holes with cleats, 316 stainless steel bow chocks, 316 stainless steel cleats. 1,800 lb. hydraulic cable, boom, and rotation of davit "steel head"
All watermaker elements are new on the port side ? ?water pump?? ?